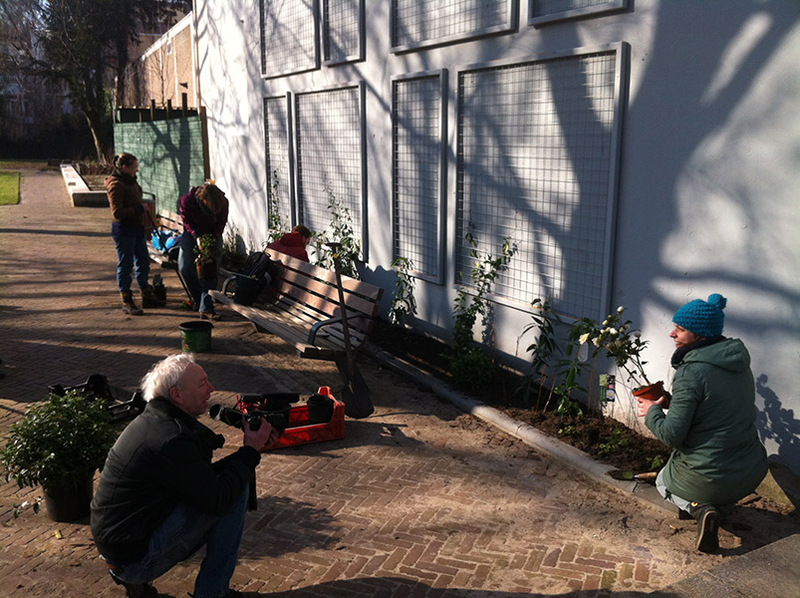 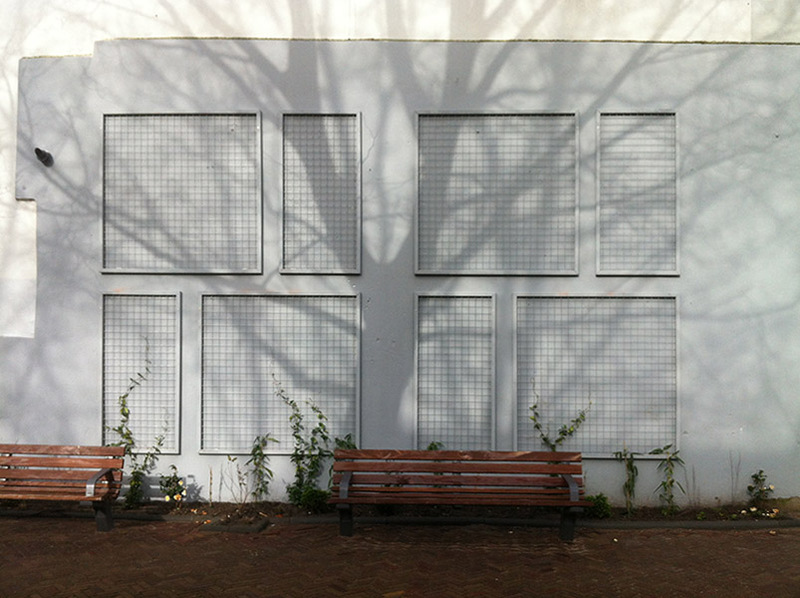 Recently lost images showed up of the building of a new fence and the greening of a wall last autumn at our location Banierstraat. 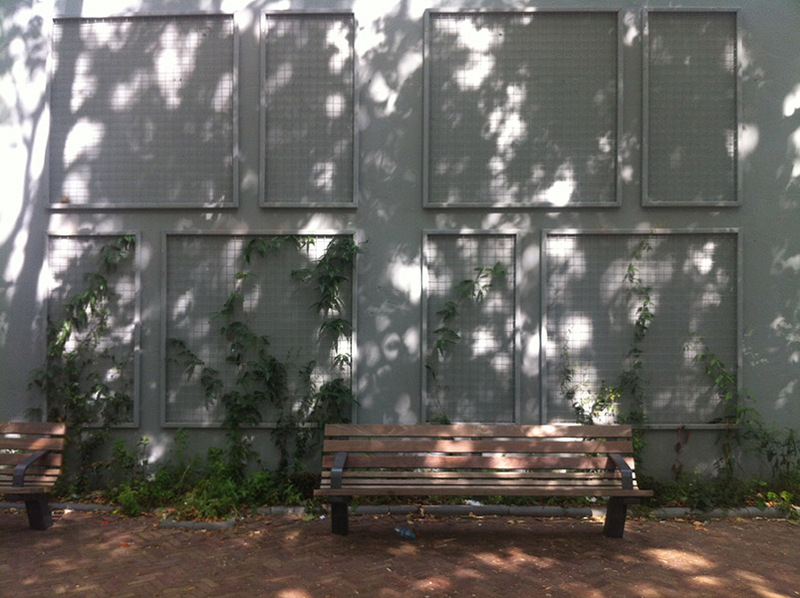 The green wall on the blank side of our building was made in cooperation with our friends from The Natural City and their 7Seasons project for enhancing biodiversity in the area. 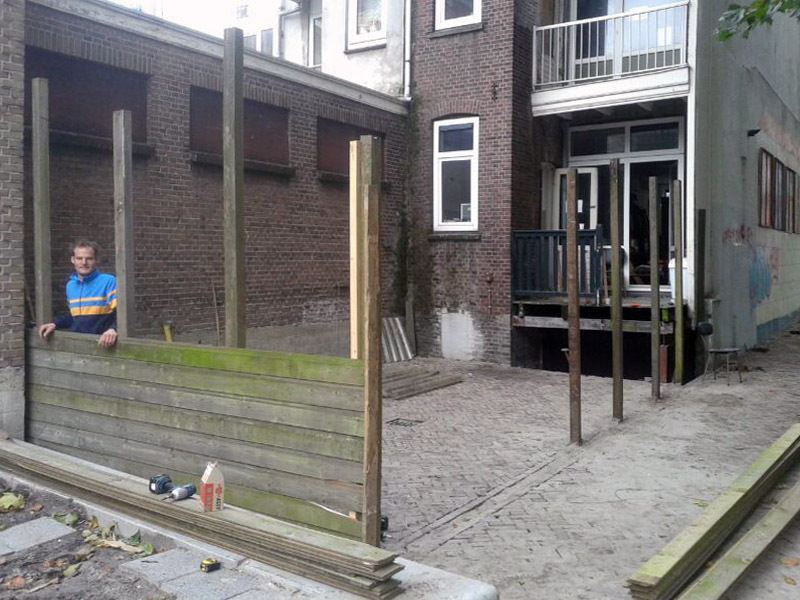 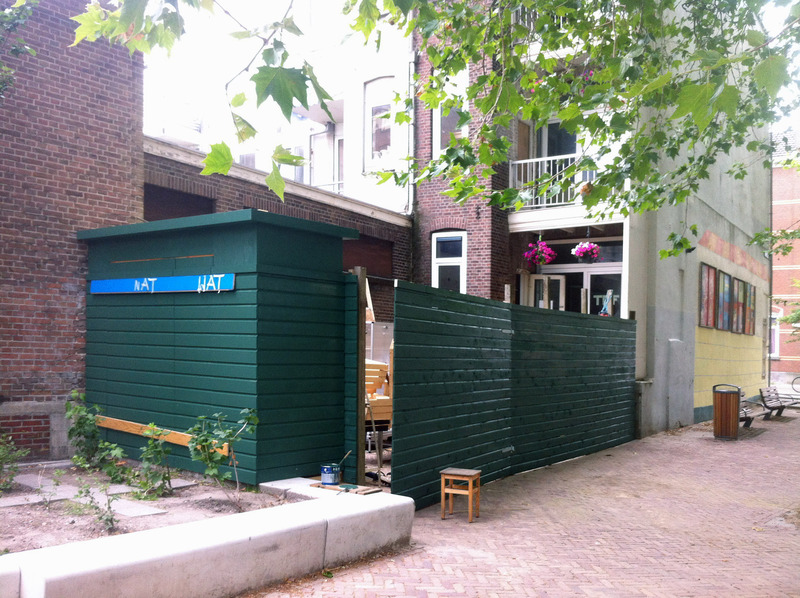 The fence was our contribution to the renewal of the Schout Heijnrichplein (the square next to our property). 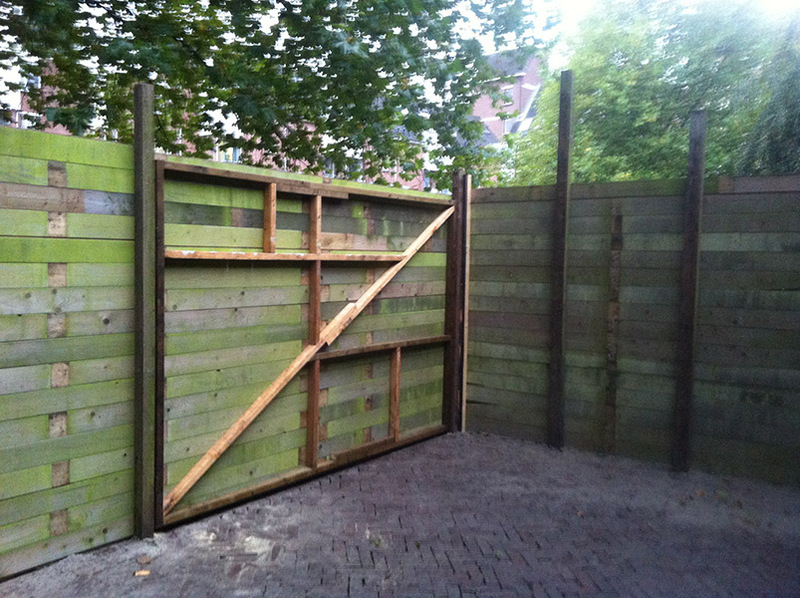 The local municipality provided some budget, so we could do more than just a fence. 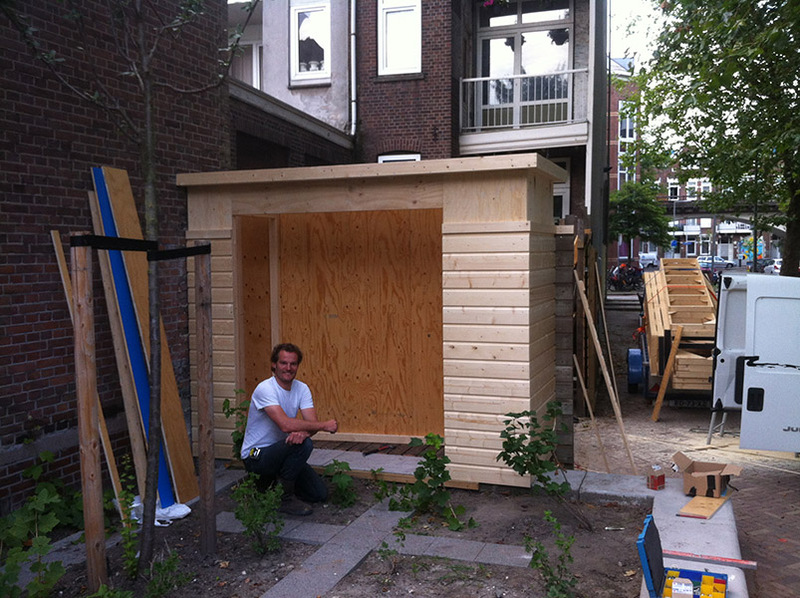 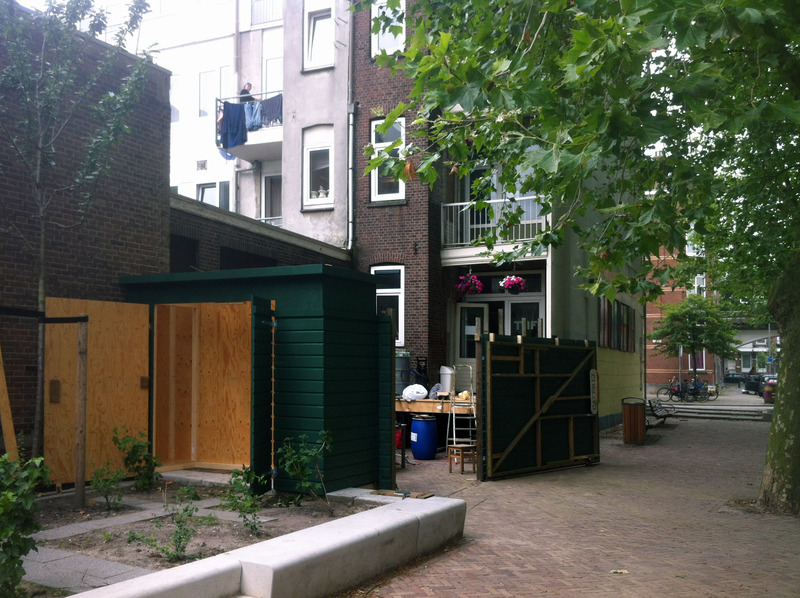 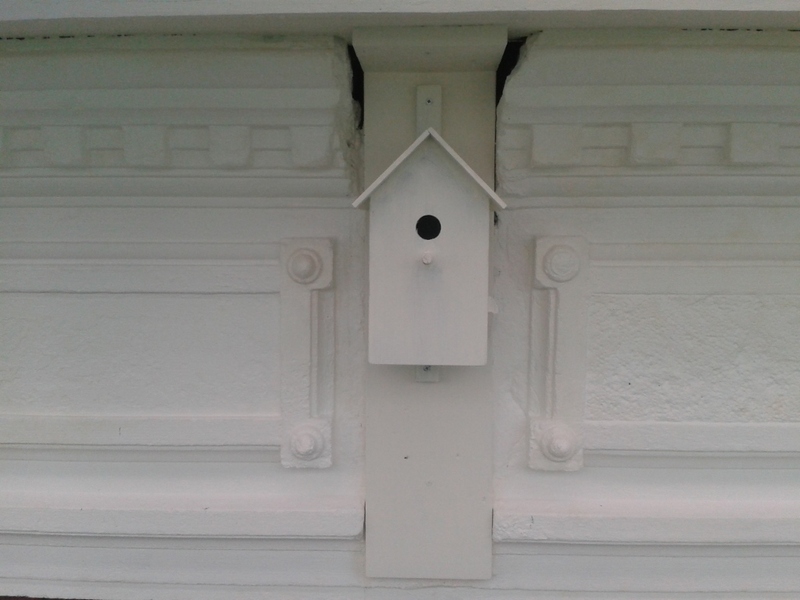 A much needed storage for the garden activities on the square was added, as well as an extra wide door which can open our garden to the square. 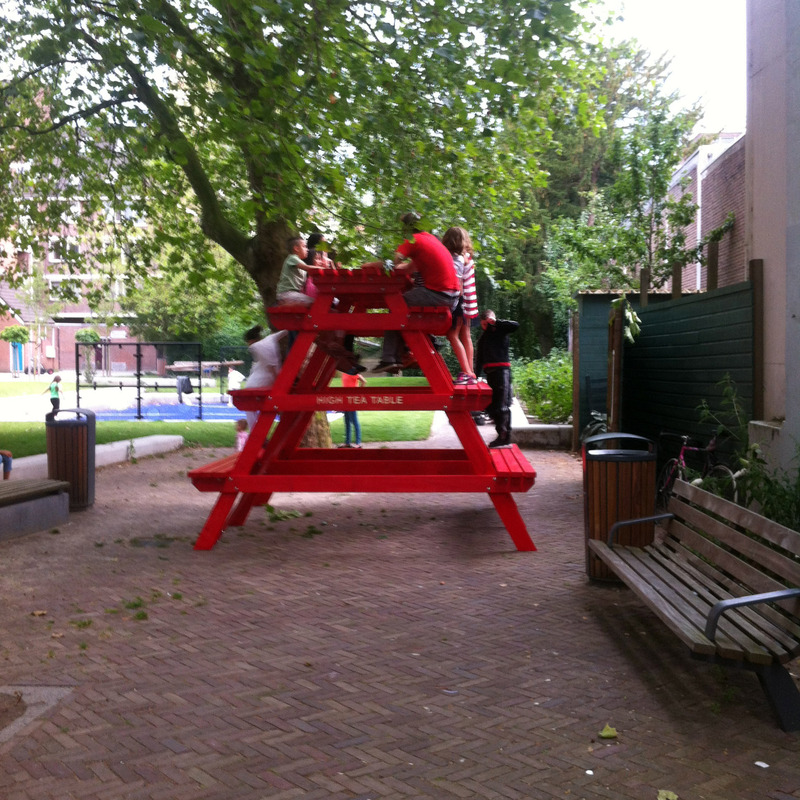 It has already been used several times during BBQ’s and other parties, the High Tea Table of Daan den Houter (artist working at Banierstraat) being the main feature at these gatherings.